Now, by now you all know I jump at every opportunity that lets me step foot in a salon. Salons and spas are my happy place. I love zoning out into perfect relaxation while talking about the latest beauty news and getting pampered. Lucky for me I know plenty of beauticians that allow me this guilty pleasure. One of those wonderfully talented friends is Lisa Schoonover. 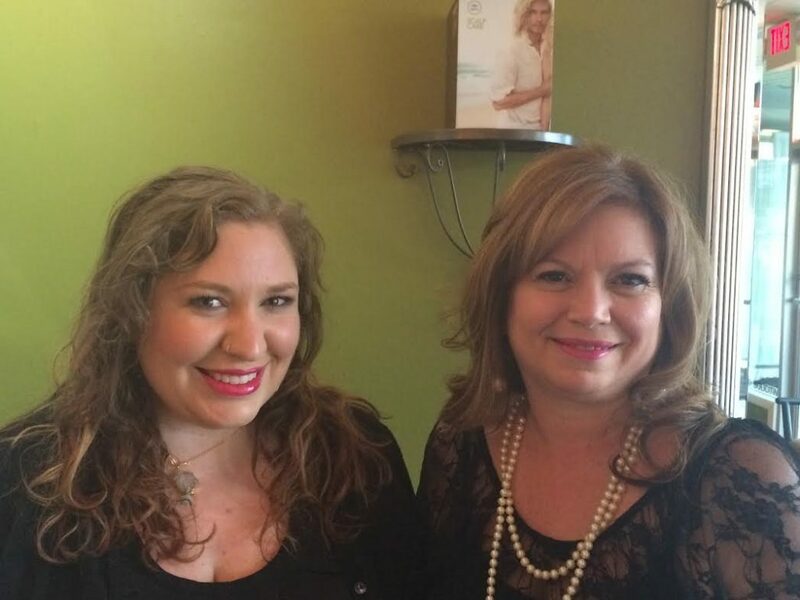 Last Sunday at church Lisa approached me and asked me to check out her salon and her Bare Minerals makeup line. Now, I was excited because 1. I got to play with makeup and 2. I would get to know this special woman better! We scheduled our time for Thursday evening at 5:30pm. Lisa was so sweet and promptly sent me a confirmation through Reflections, her salon, to my cell phone. 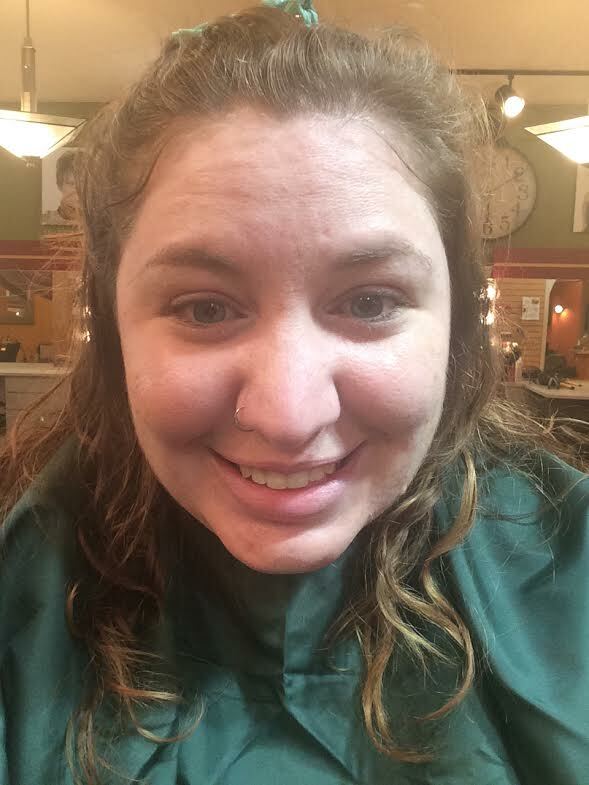 After a busy day that included driving all the way to Columbus (an hour away) and back, I grabbed a bite to eat and headed over to get my beauty on. 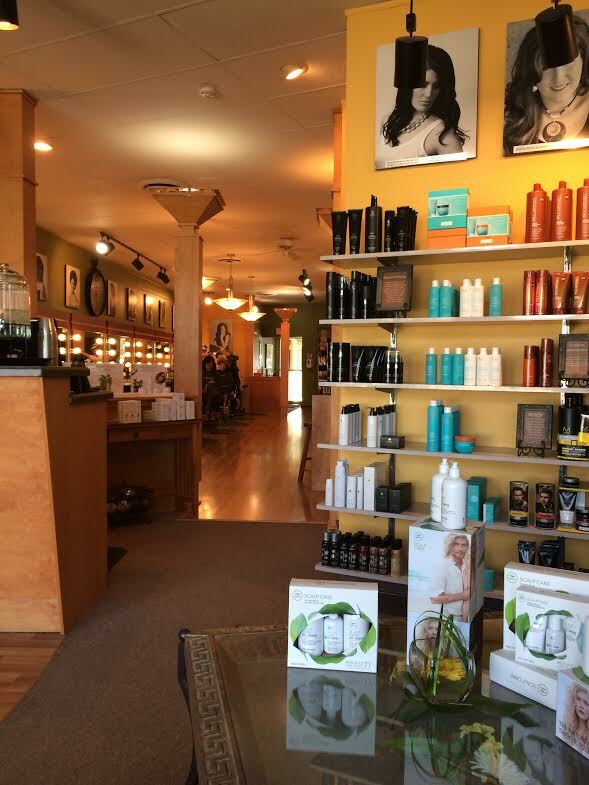 A quick Google search showed that Reflections Hair Design was located in the West Park Shopping Center on Park Avenue just a short drive from my house. I was surprised when I saw the location because I had never seen the salon. In fact, I didn’t even know a salon was in the shopping center. All I remembered was that I took my driving lessons and tests there. I drove up and it took me a few minutes to scope out the location. When Lisa explained that Reflections was a great Mansfield secret, she wasn’t kidding! The salon is back a bit next to China Club, a restaurant in the strip mall. It took me a few checks to make sure there was a sign. It’s hidden back a bit, but it says “Reflections.” Based on the sign, I thought the salon might be small and not too busy. It was hard to see if there was any movement inside, but as I walked up to the door, a new energy and burst of excitement greeted me! 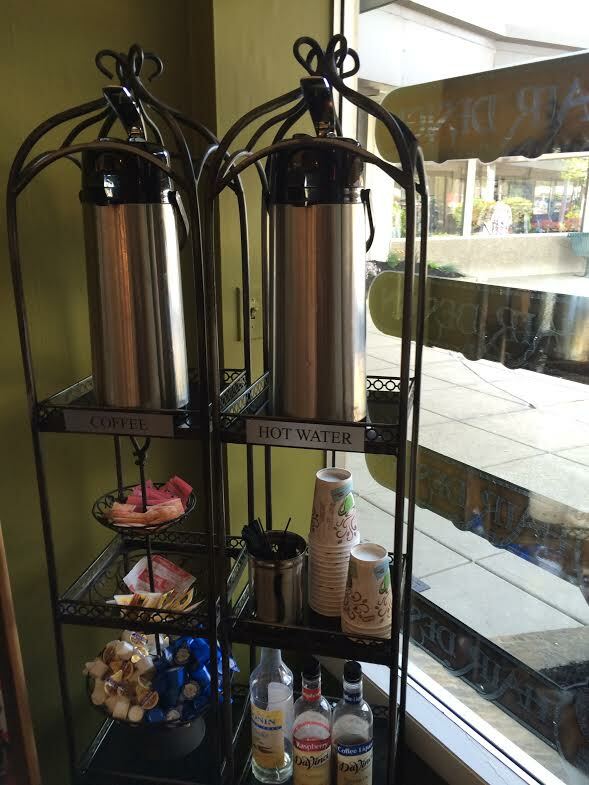 The front desk was well decorated with an inviting drink dispenser filled with lemon water. I was welcomed by the lady at the front desk and she promptly confirmed my appointment with Lisa. She asked if I needed anything to drink and I asked for some water. I was surprised when she asked if I wanted bottled or lemon. 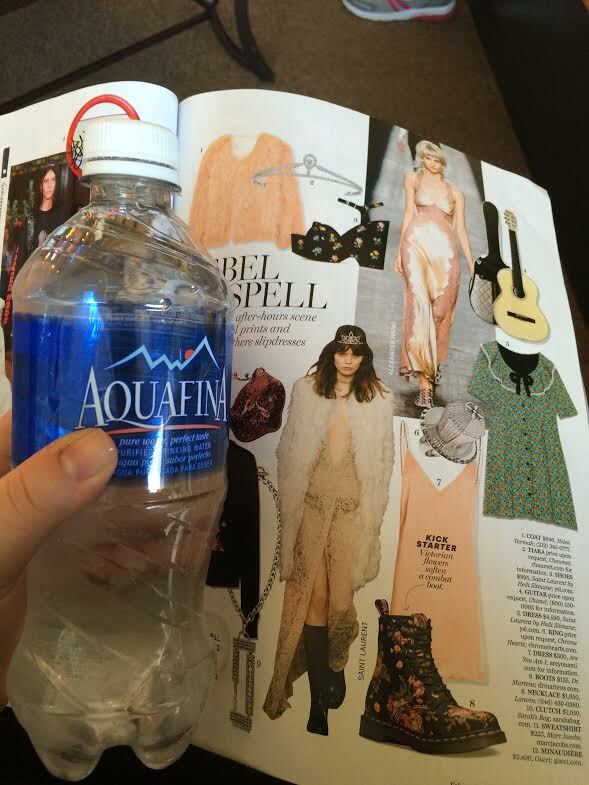 I currently can’t have a lot of lemon, so it was a nice option to have bottled water. I made myself at home and filled out a new client form while glancing around the salon. The space was well designed and welcoming. Colors like sage green and gold filled the space. I overheard lots of women talking and even a younger man getting his hair cut. Everyone seemed at home. 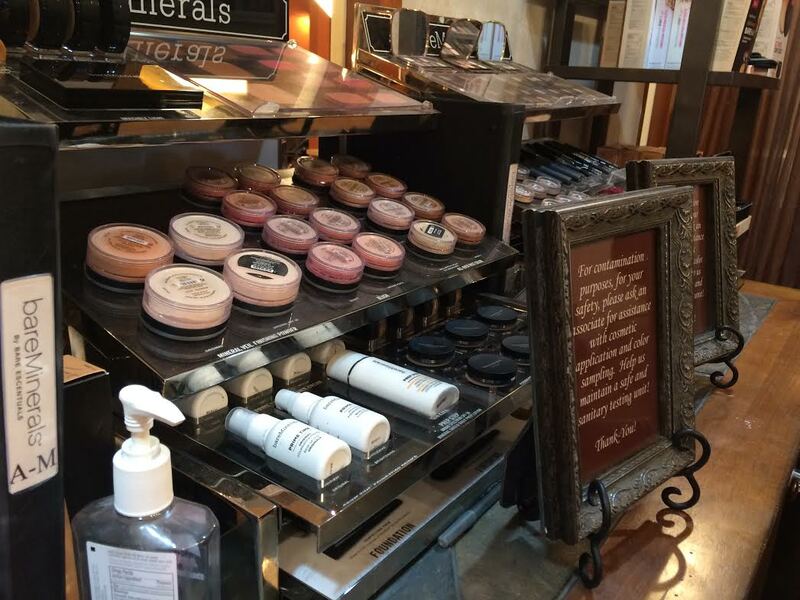 A large display showcased Paul Mitchell products and other displays showed off Bare Minerals makeup. There were some magazines and I picked one up and took a deep breath. It was nice to have a few minutes to myself. Before long, Lisa came and welcomed me while escorting me back to the makeup space. There were a few different stools at the makeup counter and Bare Minerals was center stage. I got a big sparkle in my eye as soon as I saw all the different colors and formulas. There were blushes, powders, skin care, lipsticks, glosses, and more. Lisa walked me through the entire Bare Minerals skincare line. She allowed me to try all the different products while asking about my current beauty regimen. 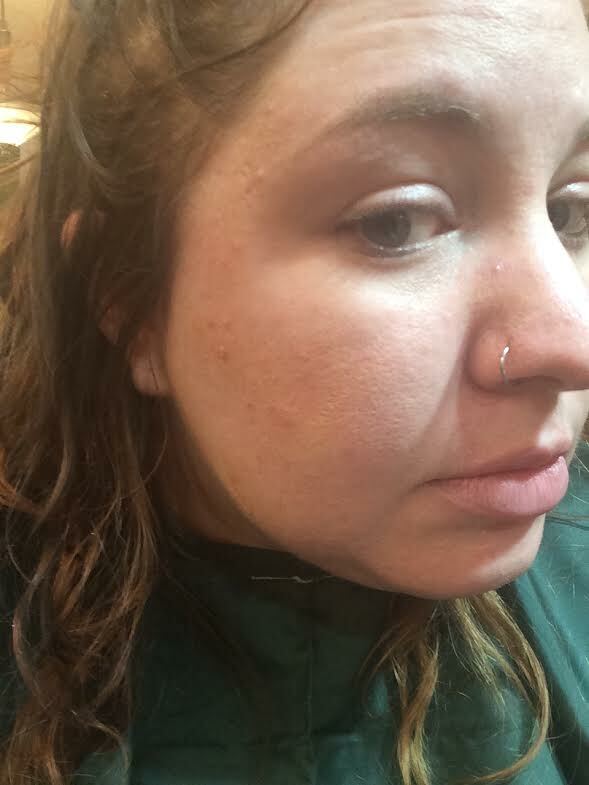 I really appreciated how she listened to my skin concerns (acne) and made me feel relaxed and assured. 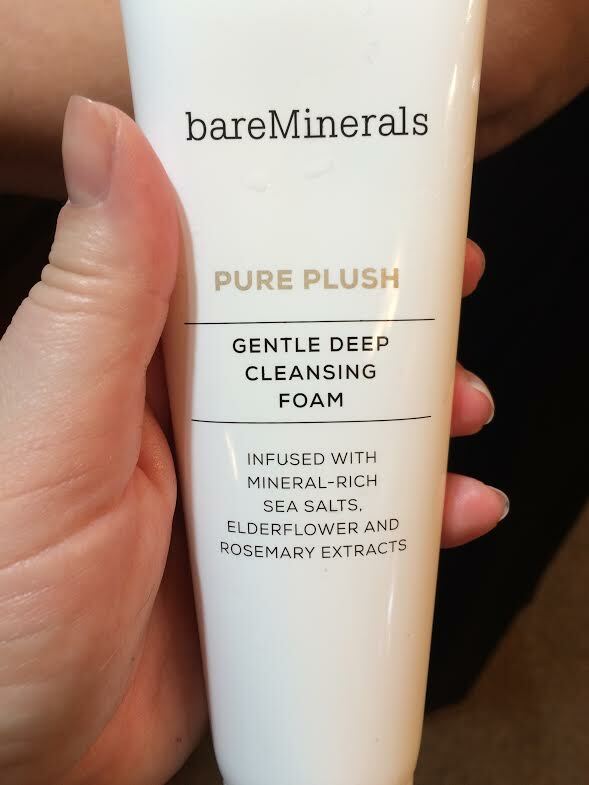 I came with a full face of makeup on, so I used the Bare Minerals Pure Plush Gentle Deep Cleansing Foam cleanser to get it off. The cleanser was fresh and Lisa helped me get my eye makeup off. Next, we applied both Skinlongevity, which helps with aging skin, and True Oasis, an oil-free moisturizer gel. I loved the feel of both on my skin and felt they worked well together. I know you’re never too young to begin improving your skin! The Skinlongevity I felt could easily help prevent wrinkles and the True Oasis felt refreshing and smoothing on my acne-prone skin. Since applying both, my skin felt prepped for foundation. Next, Lisa applied a foundation primer to my skin. She asked what type of coverage I liked and I explained my long history with oily skin and breakouts. We talked about skin troubles, hormones, and even embarrassing facial hair. Lisa surprised me because she had so many suggestions and tips I hadn’t heard of! She suggested using a product called Tend Skin for my neck where in-grown hairs could cause blemishes and cysts. Who would have thought? She also explained the different foundation types offered from Bare Minerals. For me, a heavier liquid foundation with concealer was the perfect choice. 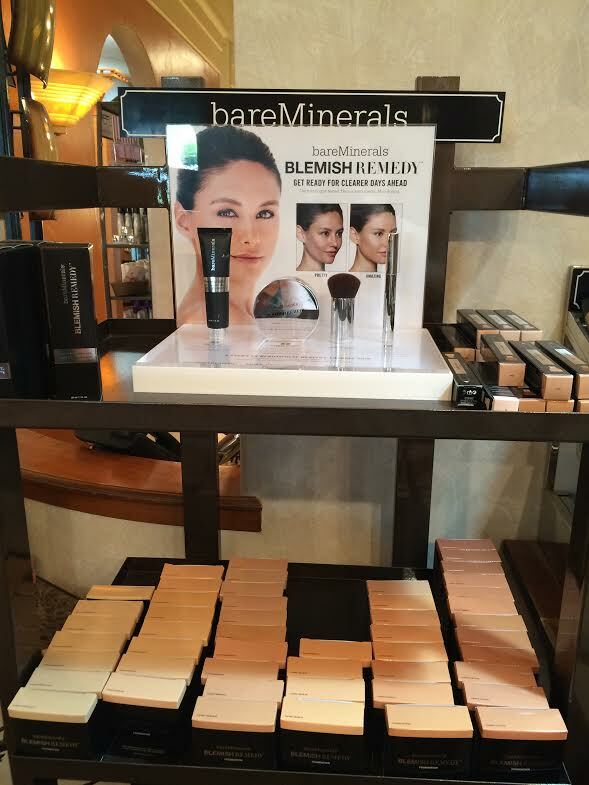 Bare Minerals has a blemish remedy line that is specially formulated for those of us with acne. Lisa explained to me that the different ingredients work to treat pimples while offering coverage. I liked this idea! I hate wearing heavy makeup that makes my skin break out worse. The Mattifying Prep Gel worked as both a foundation primer and a treatment gel. At this point, I realized I hadn’t taken a before picture! 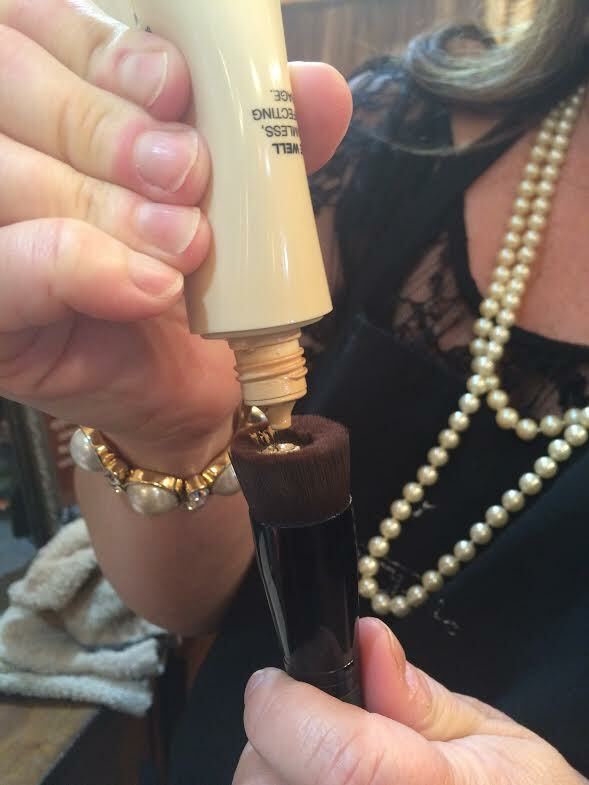 Lisa had already began adding concealer to my bigger blemishes and working with a product that helps with tired eyes. I told her, I’m a beauty blogger/writer. I’m confident! You have to show women the before so they know why the after rocks! The Blemish Remedy concealer worked fabulous to cover up my red spots. “Formulated with aspen bark and tea tree oil to promote clearer, healthier-looking skin, it’s also enriched with aloe to soothe and hydrate skin and clay minerals, which absorb excess oil and reduce shine,” says Sephora. At only $22, this was a product that I really loved and would like to purchase in the future. 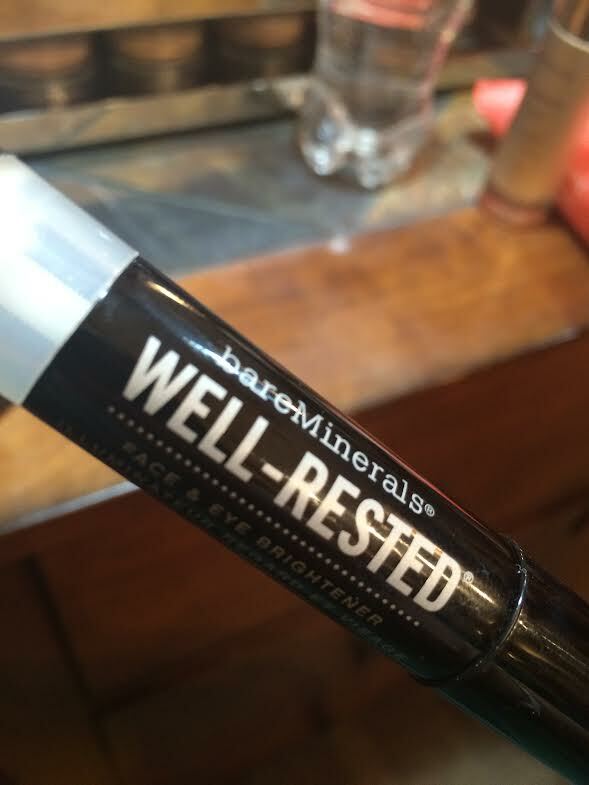 Another product Lisa used on me that I hadn’t ever heard of was Well Rested. This is a face and eye brightener. It felt wet and refreshing when she outlined both my eyes with it. 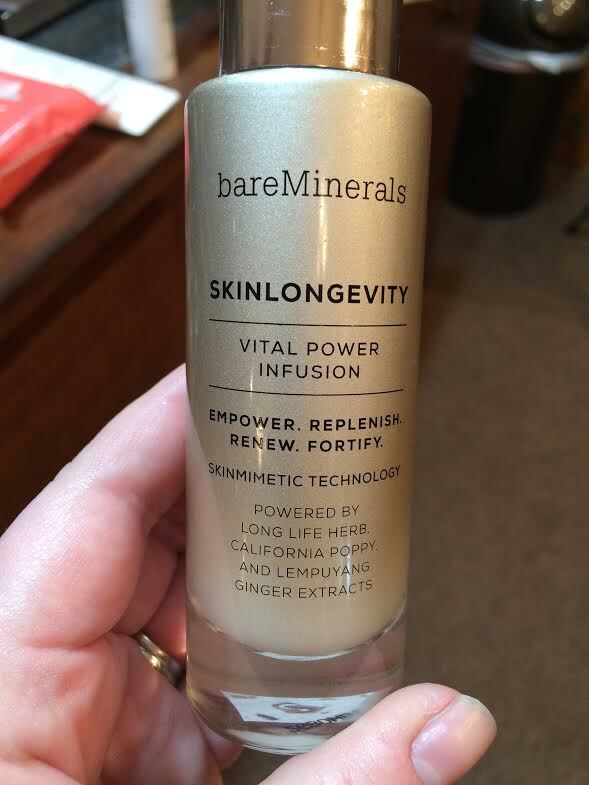 Light reflecting minerals in the formula help you look wide awake! 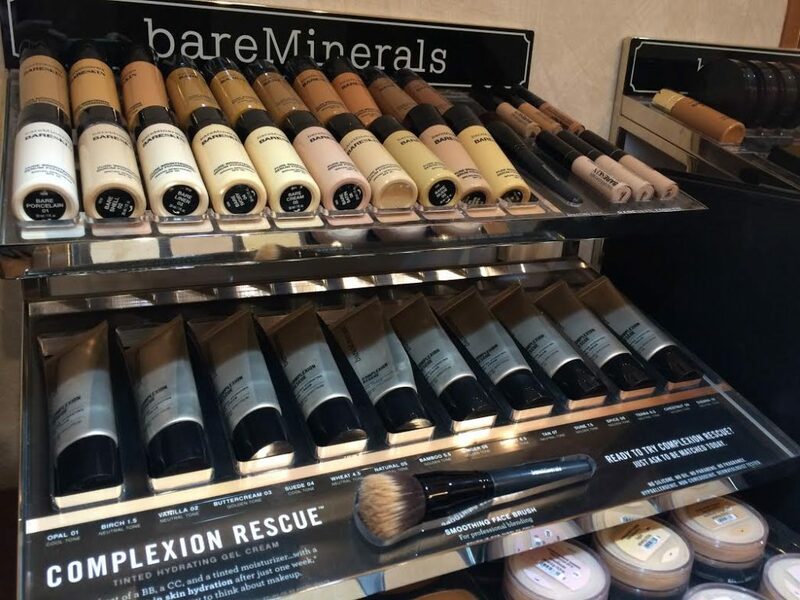 The brushes from Bare Minerals are of exceptional quality. This brush that Lisa used to blend my foundation was heaven. It felt really soft and the application was very smooth. They also have seasonal gold ones, which I almost splurged on myself. Lisa was smooth and very knowledgable. She explained every step and showed me the colors she used. The three main products for skin were: primer, concealer, and foundation. Once my complexion was looking perfect, she moved on to color! This is always my favorite part. Lisa did a smokey eye look with a bright lip. She worked the mineral blush flawlessly and blended the shadows to perfection. What I loved about the Bare Minerals eye shadows were that they came with directions on where to place them on your lids. Purples brought out the blue in my eyes and were accented with a pencil eyeliner. 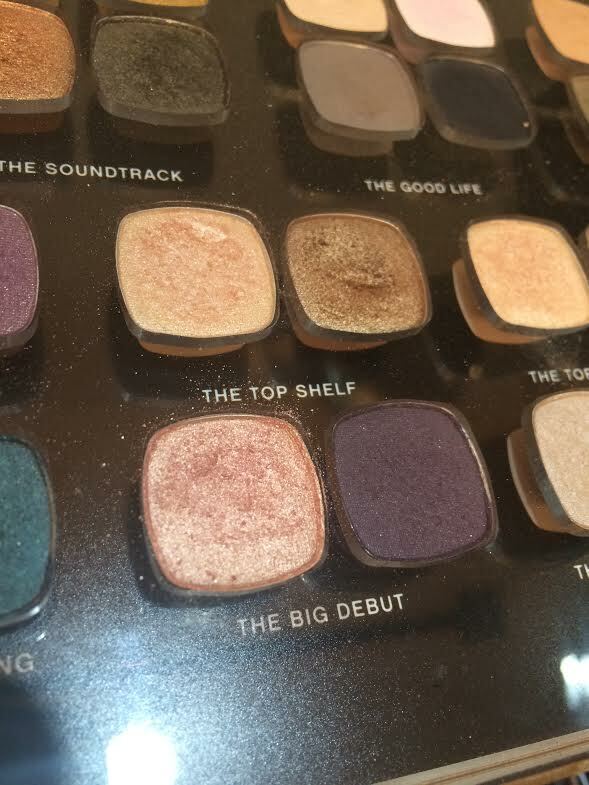 The Big Debut set, a shimmery champagne rose gold and purple, were the main shades she used. The lip color was a mix of lipstick and Moxie gloss. Pricing for the glosses and lipsticks was very affordable. If I’m in need of a new shade, I would easily run over to Reflections and check out all the colors they have in stock. Lisa also explained that during different seasons there are sets that are sold together. My new look! I felt fresh and beautiful. I didn’t feel overly made up. I felt pretty. The look lasted until I took it off later that night. The only product that I didn’t feel was “for me” was the mascara. I liked the way the application looked and the options Bare Minerals offered, but my lashes are long and it smeared a bit as I was lounging on the couch. I usually use Lancome Definicils or They’re Real! by Benefit. The gloss, which Lisa layered upon the lipstick had a minty feel and smelled delicious. At the very end, Lisa gave me a whole tour of the salon. 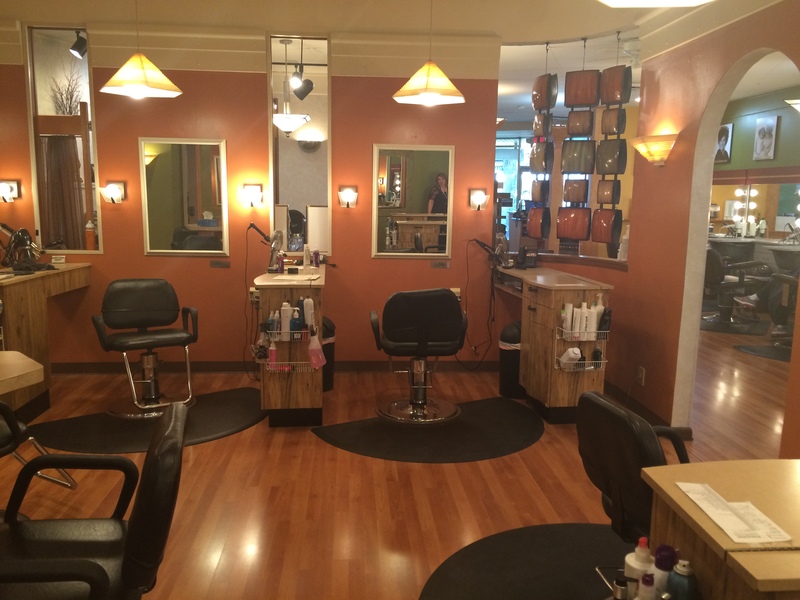 I was encouraged to hear about the salons dedication to continuous learning. Lisa began work at the salon when she was just 19 years old. Since then, she’s tried a few other salons in the area but came back to Reflections. To her, it’s her family. It’s home. You can tell she has a mastery of the beauty resources and trends. Many of the ladies at church swear by her hair color knowledge and her hair is always on point! 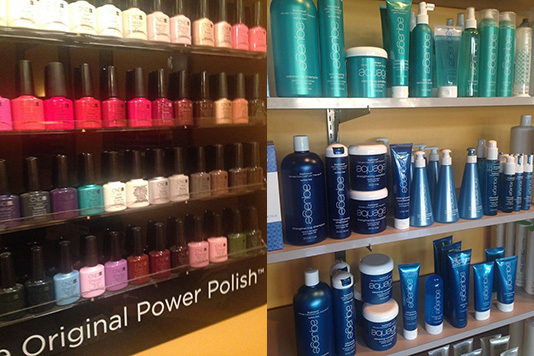 As for Reflections, the salon has been around since the 1960s and has it’s own rich history. 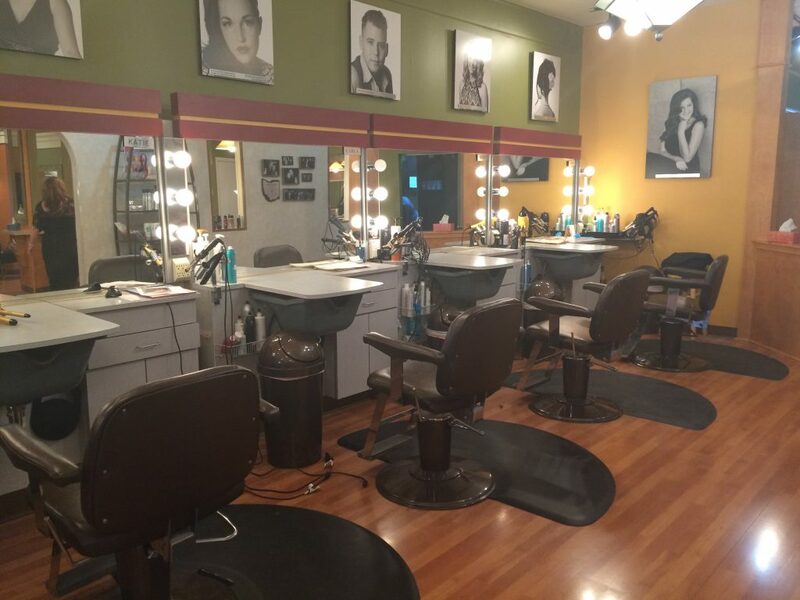 A quick glance on Yelp will show you many different locals have been coming to the salon for years. Some clients have moved away and still drive to see their preferred stylist. That’s beauty dedication! Amy Forrest, who I later found out owns Reflections was also in on Thursday. Just like the rest of us, she was getting her beauty on. With her hair back waiting on color, she popped up and warmly welcomed me. Anyone could see why Lisa loves working at Reflections. Amy was a bright and fun person. I wouldn’t mind interacting with someone like that on a daily basis! She made sure I was doing well and complimented me on my makeup. She inquired about my blog and took a lot of interest in me. Even though she’s a pretty awesome lady, she made me feel like I was the star of the show. I bet she makes every visitor feel the same. (Also, her curls are perfection). Before heading out, Lisa and I talked about “shines” for hair and also facials perfect for acne-prone skin. I was mentally thinking through my beauty budget and wanting to make an appointment for one of her facials. I also learned that the salon does special event makeup, eyelash extensions, and much more (click here for service list and pricing). Lisa gave me a sample of the Skinlongevity. 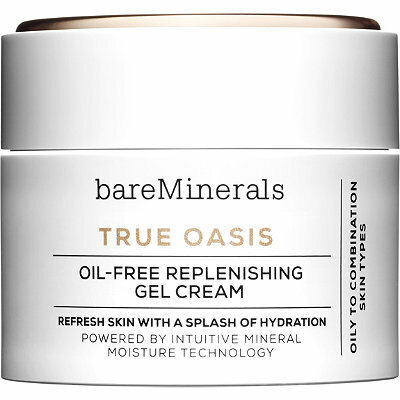 Still loving the smooth feel of my skin from the skincare she used, I inquired about the price of the True Oasis Oil-Free Replenishing Gel Cream. At only $32, I didn’t even blink. 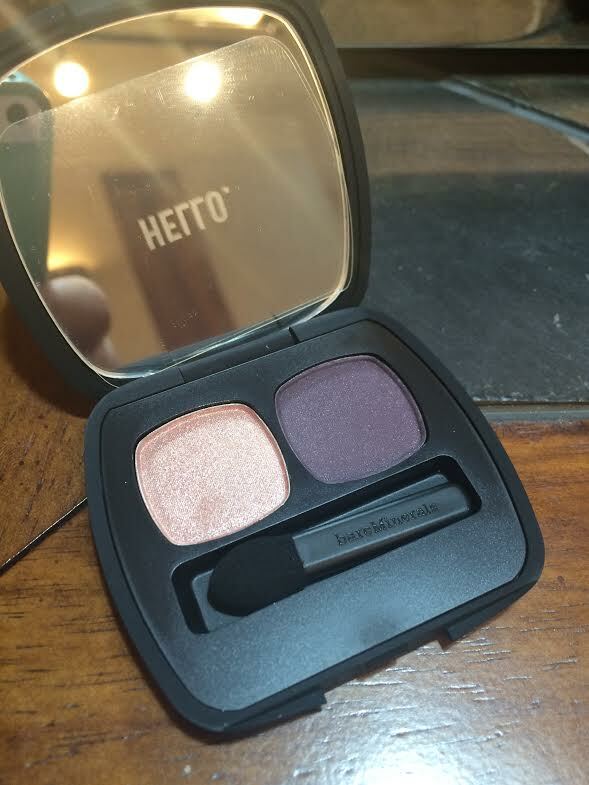 I purchased it and was on my way, knowing my skin would feel smooth and my makeup would lay well until I ran out or visited Reflections again. 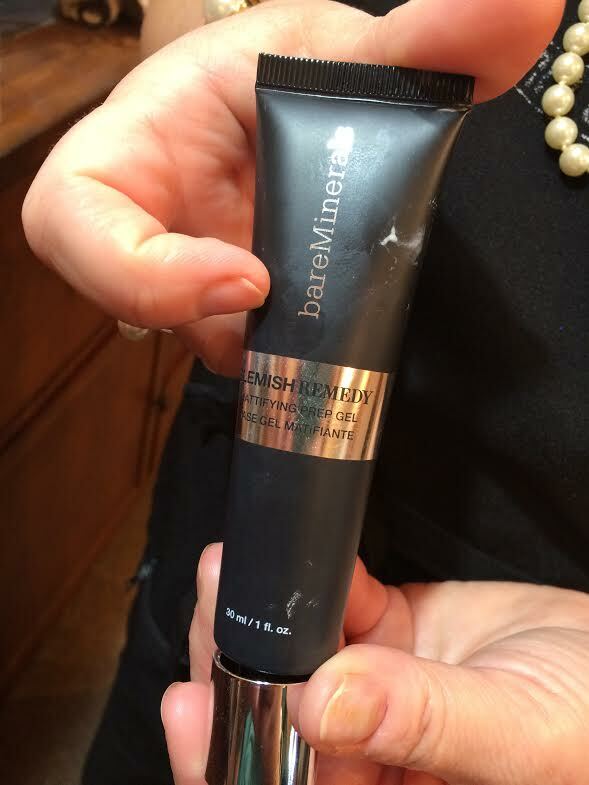 Lisa is not new to makeup and skincare, but currently she’s newer to the Bare Minerals line. She invited me to check out the salon and what she offers. 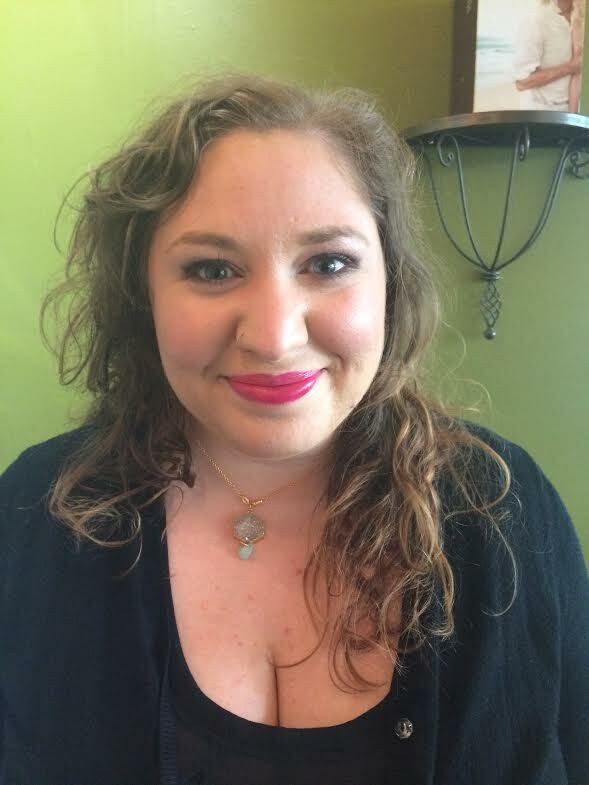 It was exciting to receive a makeover in exchange for writing about my experience. I could get used to this! I would highly suggest a makeup lesson with Lisa if you’re new to makeup or are wanting a makeup line that’s designed for acne. 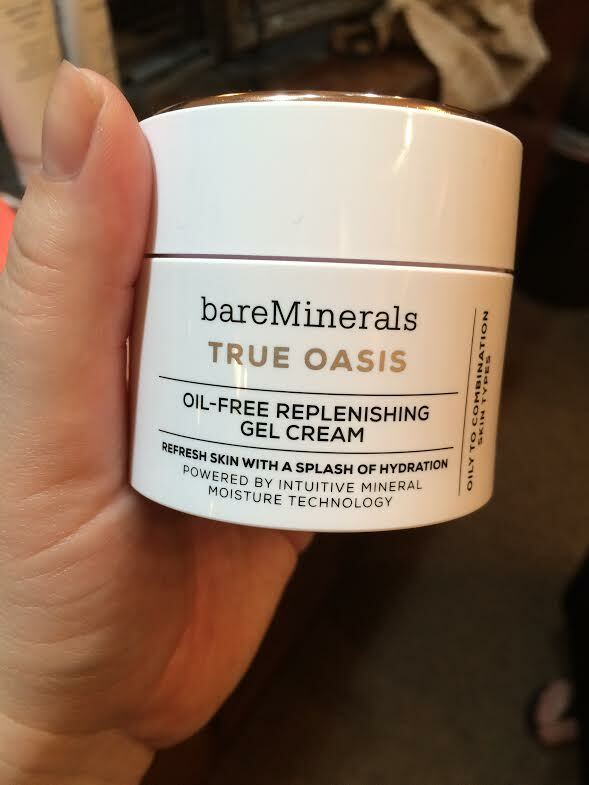 I was honestly hesitant when I heard Bare Minerals because I’ve tried it before and not liked it. 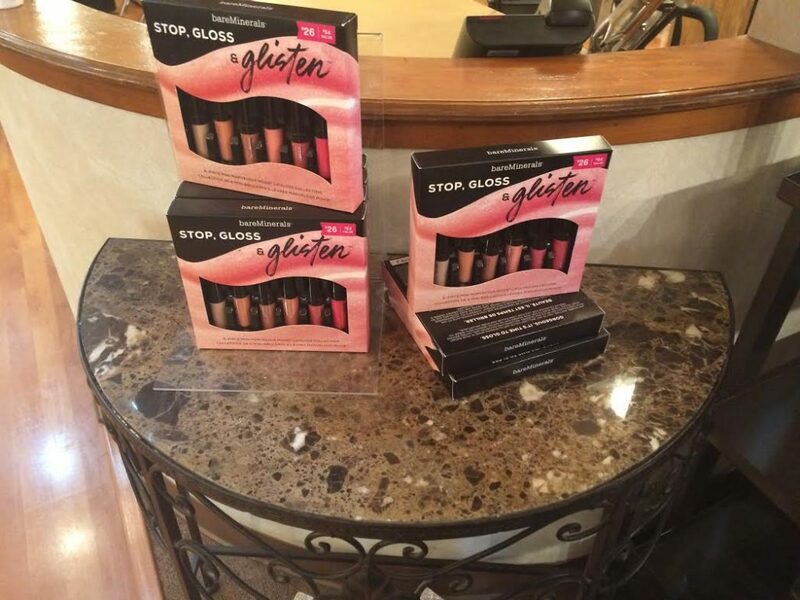 I had tried their mineral foundation and some of their highlighters. 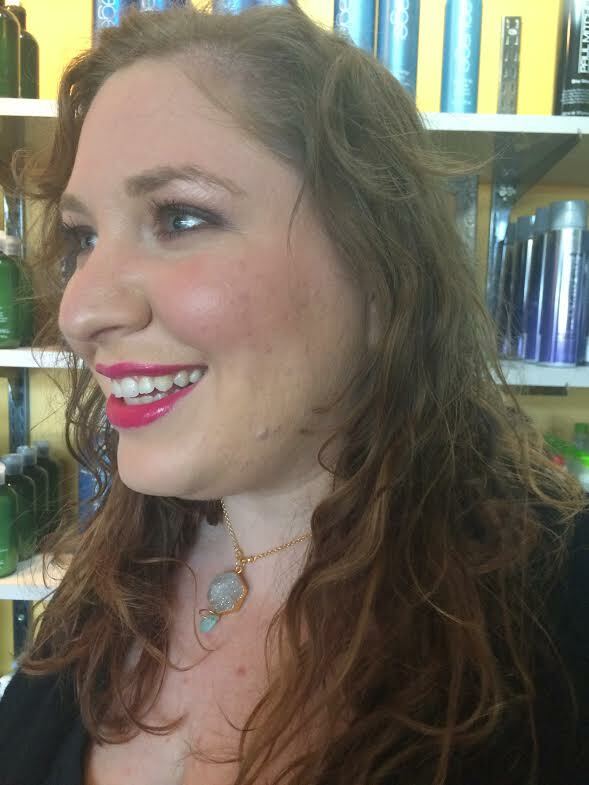 The products Lisa used offered more coverage than I had tried and she applied the blush in a way that made a statement! If you go to Reflections you can be matched for foundation for free and buy it on site. The have a large selection of all shades. If you’d like makeup application for a special night out with the girls or a date with your man, try the Makeup Application with Lisa for $45. If you’re wanting more of a lesson, where you’ll learn tricks and tips, try the Makeup Application and Lesson for $65. This is more of the service I received and I believe it would be worth every penny. This is also perfect for any young lady in your life that wants to learn about makeup and how to apply it correctly. 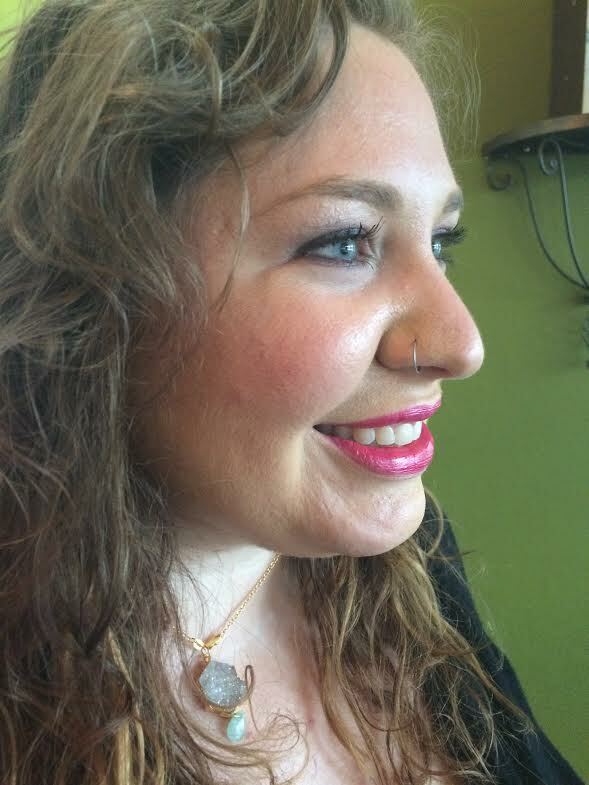 Lisa isn’t in the salon on Saturdays, but there are many other talented makeup artists that can do bridal makeup. This service is $50. For more information about Reflections, their pricing, and to make an appointment visit them online here. You can also call them at 419-529-3535. The salon is a little hidden, but if I can find it, so can you at 1215 Park Avenue West in the West Park Shopping Center. Even though Lisa gave me my makeover for free, all the opinions and reflections are my own. I was not monetarily compensated for this post. Loved your eye makeup! It’s nice to know that Bare Minerals has a line for Acne Prone skin, and I’m glad you bought a moisturizer! You’re never too young to treat your skin…..don’t forget your neck and chest!?? ?